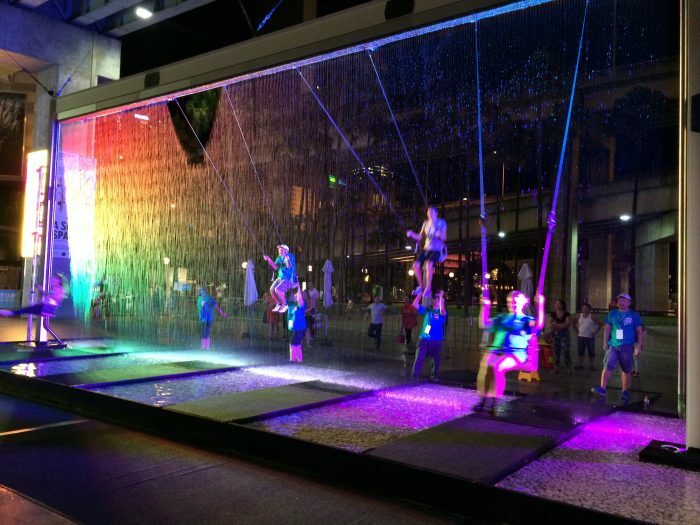 The Waterfall Swing, an interactive art piece designed by a team of passionate innovators and built by New York-based Dash 7 Design, has entertained crowds across the country and around the world. The project has been featured on a number of national television shows, including the Today Show, and has been a huge hit on social media thanks to its irresistible combination of fascinating technology and refreshing dose of childhood whimsy. 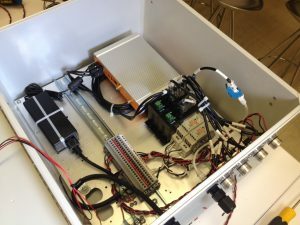 In designing their interactive installation, the team behind Waterfall Swing needed a highly reliable industrial computer to orchestrate the interplay between rider and waterfall. The swing would be set up at exhibits and festivals around the world and dependability was paramount. While the application may be unique, their desire for a computer that they could count on, no matter where it might be installed, is a requirement that we’ve become adept at accommodating. Water recirculates through 384 independently controlled solenoid valves at the top of the structure to create a wall of water. This water starts from a collection pool on the ground and is pumped up to a 4″ distribution pipe that feeds the solenoids. Rotational encoders mounted on the swing axis gather information about the angle and speed of each swing. That information is sent to a computer that predicts the action of the rider. The computer then creates a hole in the wall of water, allowing the rider to swing through without getting wet. The computer controlling those 384 solenoids is a Logic Supply ML300 small form factor fanless PC. The ML300 had the connectivity and processing power the Waterfall Swing team needed, protected by an industrial enclosure, which utilizes our own Hardshell Fanless Technology to protect internal components while keeping them cool. See the Waterfall Swing in action in the video below, and be sure to check out the other fascinating creations by some of today’s most inspiring machine builders in our ongoing Powering Innovation series. Our Powering Innovation feature highlights clients who are using Logic Supply hardware to build the future of intelligent systems. Have a project featuring our hardware that you’d like us to highlight? Send the details of your project and a photo of the system in use to marketing@logicsupply.com with the subject line “Powering Innovation”.